To establish your brand the way you want it on social media it is important to explore most authentic digital platforms in order to boost your brand online to the maximum. This is ensured by developing a unique style that is easily recognizable and focus on posting regularly. It will be very beneficial to engage user in conversations. Lets explore few important points to gain in-depth knowledge for boosting your brand widely. Social media posts are perfect platform to reflect your brand personality which basically determines the manner in which your brand communicates at Facebook or in Tweets with potential audience. I would suggest you to focus on culture of your company this is what defines and differentiates you. Share all interesting stuff that your company will be doing in near future by presenting them in a manner to inject a passion among you audience which will enable you bond with your audience in most comprehensive and long lasting manner. (a) Facebook: 2 billion plus active monthly users making it full fledged branding hot spot. It is essential to leverage such huge opportunity to largest pool of audience. Try to accompany your posts with engaging images and videos as simple text is not always engaging. Keep poking your audience with interesting question to keep their participation high n continuous with your brand. At least once in a while go for giveaways or contest to reflect how much you care for your loyal audience as well as it will let you collect participant email during a contest. (b) Twitter: An excellent platform to share your brand importance and ideas multiple times a day. A balanced brand promotion is one that has good amount of information to keep followers stick to your tweets. Try Hashtags to let your post viewed by large target audience who are specifically browsing twitter for the same. Respond and keep responding to user queries even if it a bit irrelevant just to reflect the amount of care and respect you hold for your audience. (d) Instagram: It is an excellent visuals oriented social network. 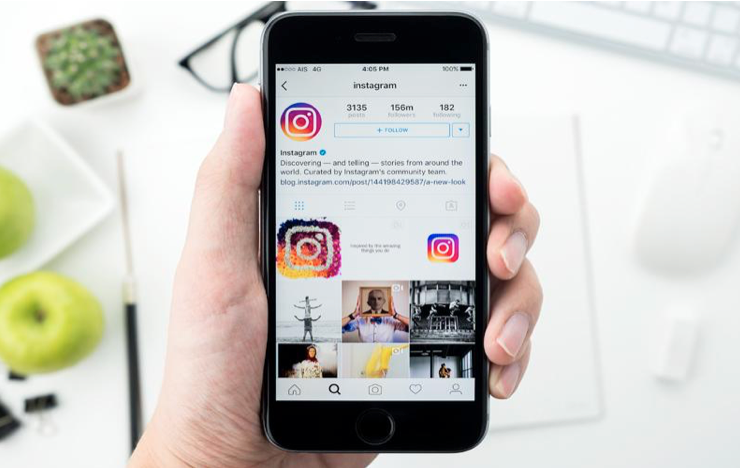 Instagram has almost 60% more engagement per follower when compared to Facebook still 1/3rd of the marketers currently considering Facebook over Instagram that provides you more space on Instagram to spread your message as far as possible. Instagram lets user recognize brand based on visuals. Try posting pics that are consistent in style ad quality as well as don’t switch often between color schemes sticking to one is highly recommended. Never overcrowd image with extra text. Following these simple tips means it is more likely for user to recognize your brand even if he browse multiple images at once. When you are in initial phase of brand building it is your profile that majority of users consider to get the idea about who you are and what exactly your company do and in what ways is it related to their concern. There is nothing very inspiring about stuffing your profile with random quotes or motivational one liners unless you are very big brand of your niche. Prefer using your profile to describe your business in few sentence if possible in rhyming manner as humour is always the trick to keep your audience entertained. About Singsys Pte. Ltd: Singsys is a solution provider that believes user friendly and industry ready solution to engage customers and boost your brand online results from a set of certified developers, designers who are expert in optimized utilization of the available resources to align client’s idea into a mobile application, web application or an E-commerce solution. Singsys follows the same approach and has partnered with multiple Fortune 500 firms to deliver industry oriented web,mobile and e-commerce solution that are always better than before. We exercise expertise over entire arena of IT services be it an open source technology like PHP based Drupal, Joomla and WordPress or Microsoft .NET based complex applications as well as iPhone, iPad and Android apps. Our Engaging E-commerce solutions are based upon Magento, PrestaShop, WP E-commerce, X-cart and Shopify.